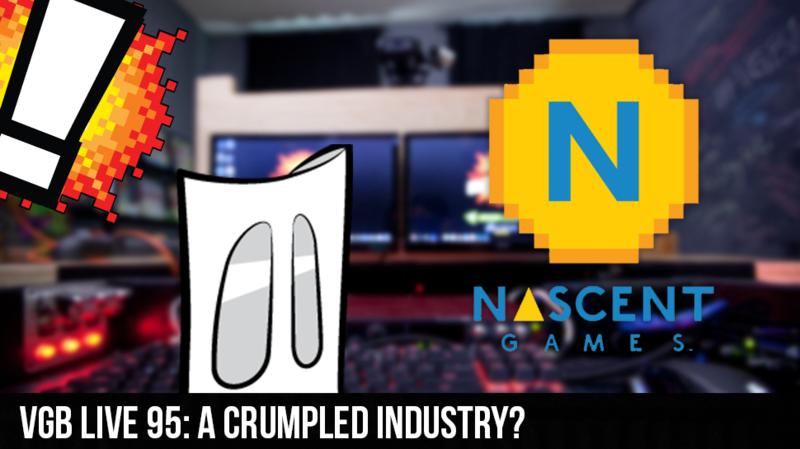 VGB LIVE 95: A Crumpled Industry? The Weekend BANG! is back in full effect ready to brighten up your day with a our podcasting goodness. Sir Aaron Carter, Cory, and the Real David Webb all are in the house as we welcome back show regular Gabe Gutierrez with his newly finished game Crumple. We do some banging around the web to start off this train, but we don’t get to far before we get into the deep convo about the industry and where its all going. From the innovations in gaming to lack there of we go deep into the state of the gaming world. Then we wrap it all of with a new segment called Bad Dad Gamer Jokes, and find out who’s got the biggest funny bone out of Webb and Cory?